We had been talking with major streaming services for voice integrations for the past 2 years, but no one was ready to approve an integration with a voice-controlled speaker other than Amazon Alexa, Google Assistant, and Microsoft Cortana speakers. In 2014, Whyd began building its own voice-controlled speaker. The company was backed by Y-Combinator and then launched a pre-order campaign in 2016. At CES 2018 the smart speaker was demoed with Spotify as an unofficial, private integration. Poupardin explains that the company faced many challenges in 2017, ultimately hitting a wall with the approval process for working with music streaming services. This led the company to the decision of canceling the product launch and changing direction. Whyd’s discussion of its software focus is vague. The company says it makes an open and embeddable voice-assistant software for app developers and consumer electronic manufacturers. 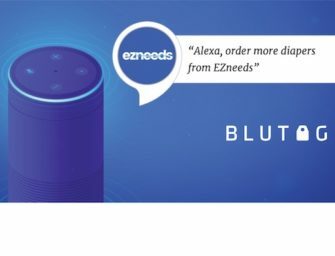 It also stated that it has a framework that can help companies create custom voice assistants for smart speakers, mobile phones, HTML5 web browsers, and other connected devices. Their initial launch to kick off their software approach with the 8tracks Alexa skill has a 1-star average rating out of 2 user reviews. Although the skill has low reviews, Whyd’s experience with smart speaker development could work in their favor when it comes time to develop voice assistants for the web and mobile applications.